My first cube competition in Australia was a lot of fun! With around 40 competitors, it was around half the size of Princeton's competitions, but it was still pretty big! And I was the only one from the United States! Shortly after arrival and registration. 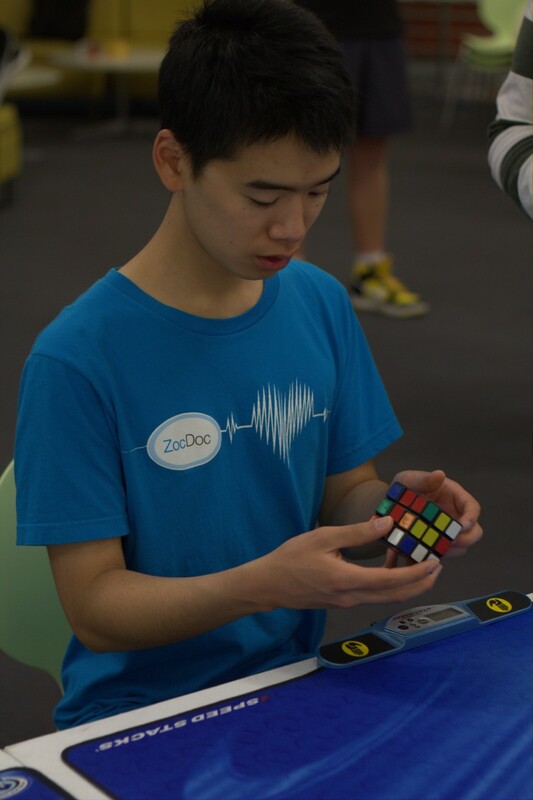 At the scrambling table, practicing 3x3 speed-solve before the competition began. I spent most of my time scrambling and judging for the competition, but I still got to meet lots of others during the competition. This includes some world record holders! It's Feliks Zemdegs! 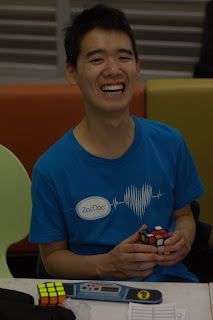 He is the current world record holder for the 3x3 single (5.66) and average (7.64)! Amazing! And Zane Carney! 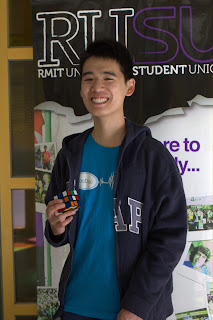 He solved 23 out of 25 cubes blindfolded, a world record! 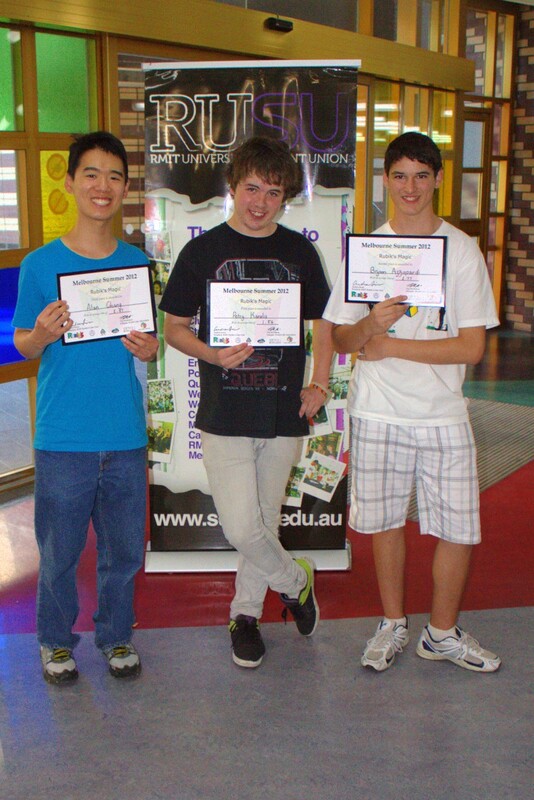 Australia has some really awesome cubers! I told Feliks's father that I came all the way from California to watch his son. Needless to say, he didn't believe me. I am really glad that I got a chance to watch Felik's solves up close. I even got to judge some of them, which meant standing right next to him as he did his solves. And all the other people (competitors and spectators) would form a big crowd in front of him during each of his solves, so we all were very excited. One of my official solves during the competition. If only I was as fast as Feliks! Somehow I managed to win 3rd place at the Rubik's Magic event! The competition went from 9:30am to 6:00pm. What a long day! It was certainly a lot of fun, but actually, the day wasn't over yet! Dinner afterwards at the Melbourne Central food court to celebrate!